So last weekend, just as Xanga decided to shut down in a desperate and stupid attempt to monetize a service other people do better for free, we had played our Golden Age game. Yes, the Nazi Thule occultists decided to call down the big guns, summoning Thor, god of thunder, to try to assassinate FDR and Churchill at the Washington Conference. He faced and generally beat down the Freedom Fighters, the Mystery Men, and the JSA; in the end, it was the Patriot that held his ground and in a captain-america-esque moment managed to convince Thor that maybe the Aesir were fighting for the wrong side. 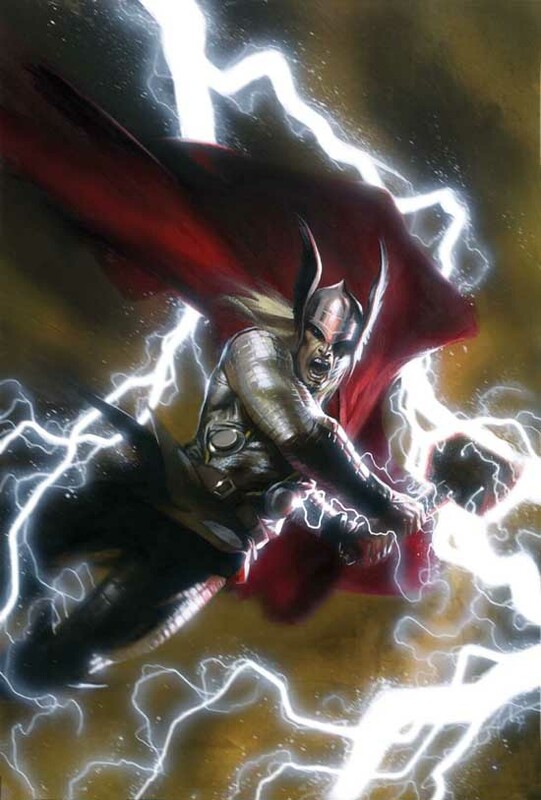 Thor decided to return to Asgard to communicate his doubts to his father, at least momentarily saving the allies from a serious hammering (pardon the pun). All in all, it was a very interesting experiment in facing the PCs against an opponent that I felt fairly certain they had no way to actually beat in a fight, though they certainly tried a few tricks I hadn't even considered. Luckily, the players (most of them pretty veteran gamers) handled the situation well, I heard no complaints of "unfairness", and at the end of the night a lot of comments about how intense and awesome the session went.